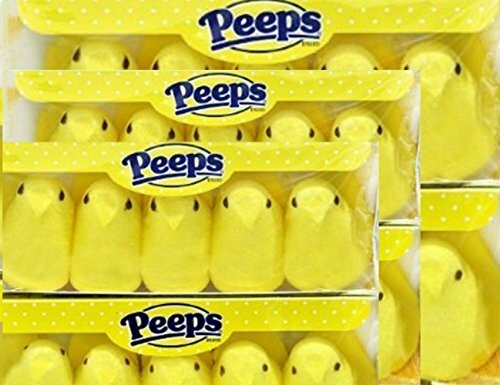 Want to get rid of those Peep marshmallows because the sugar highs are driving your kids crazy? 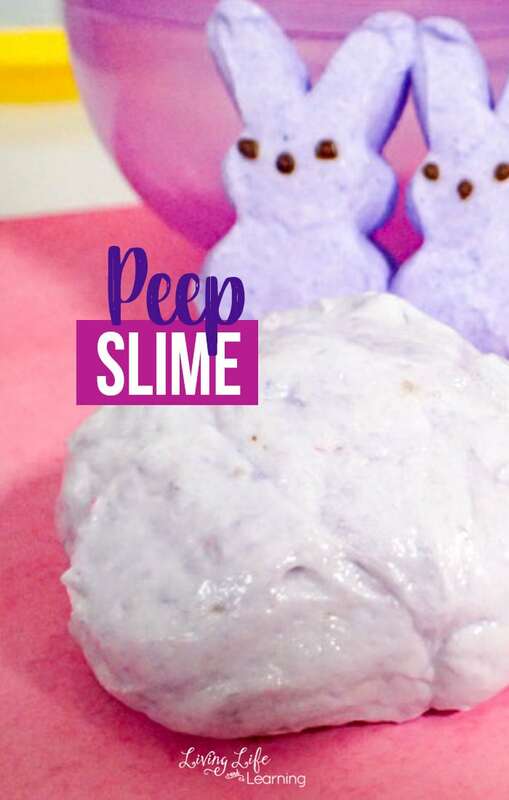 Create your own purple Peep slime and your kids can enjoy Peeps on a whole other level. 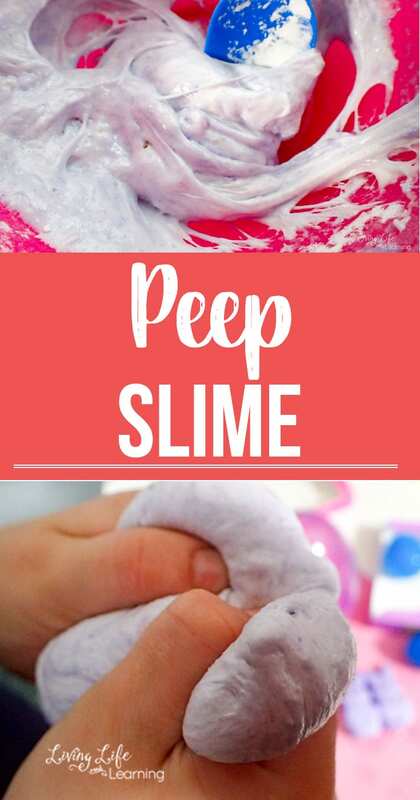 This super simple purple Peep slime recipe is so easy to put together but will provide tons of fun for your kids. The best part is that your kids won’t be digesting all of that sugar and you haven’t wasted your Peeps. Slime is a fun science experiment or a calming sensory activity for your child who likes to feel it’s slimy and smooth texture. The kids love to squeeze and feel the slime and it’s very relaxing to them. 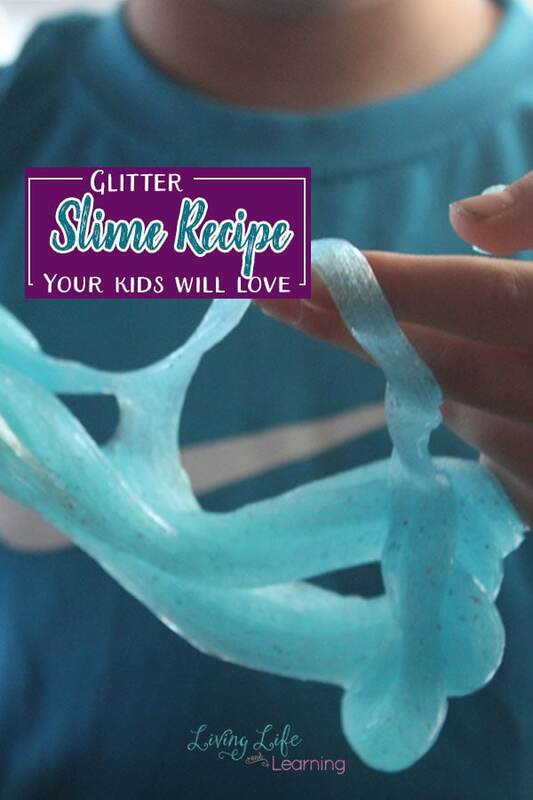 This makes a pliable, sweet, slime kids will love. 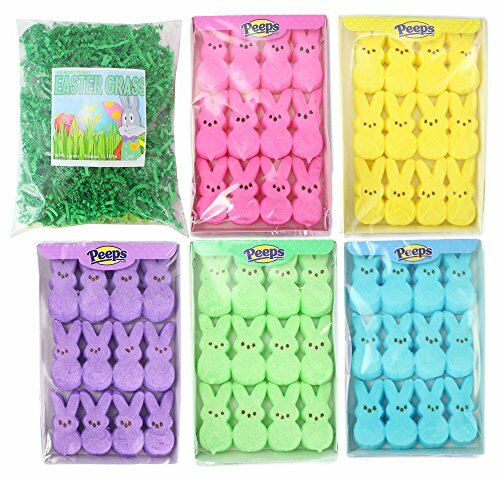 A perfect way to use up those Peeps. 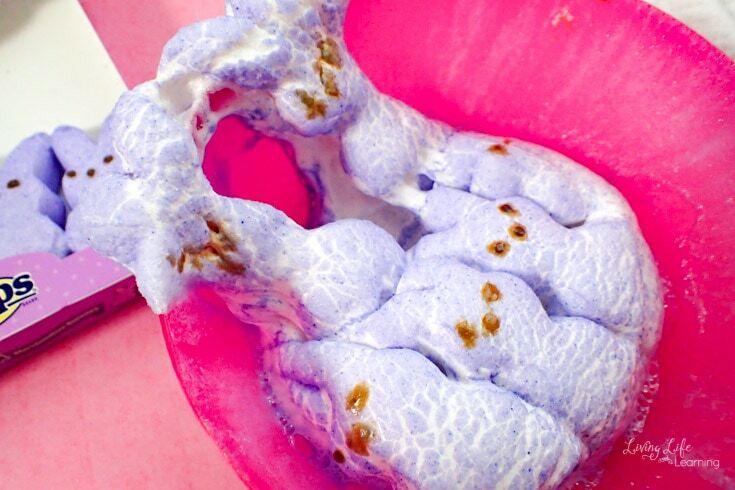 Place the Peeps in a large microwave-safe bowl. Microwave for 30 seconds allowing peeps to fluff up. My kids love watching this part. Add in oil and cornstarch. 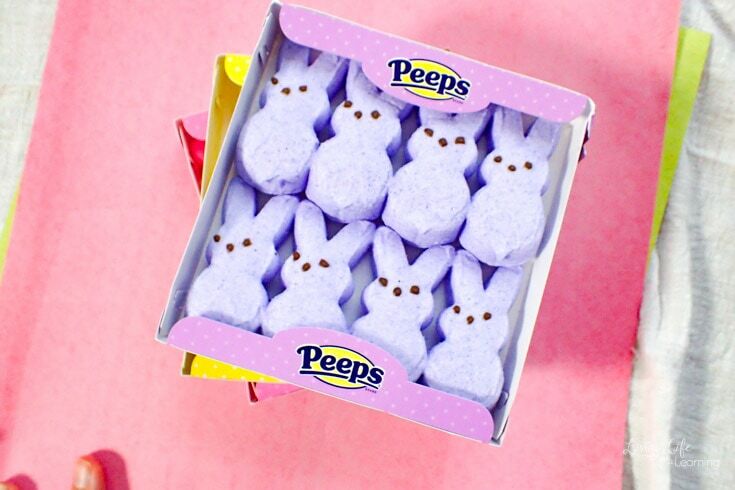 We don’t want to make a sticky mess when we touch the Peeps. Mix until you have a smooth consistency and a thick slime. 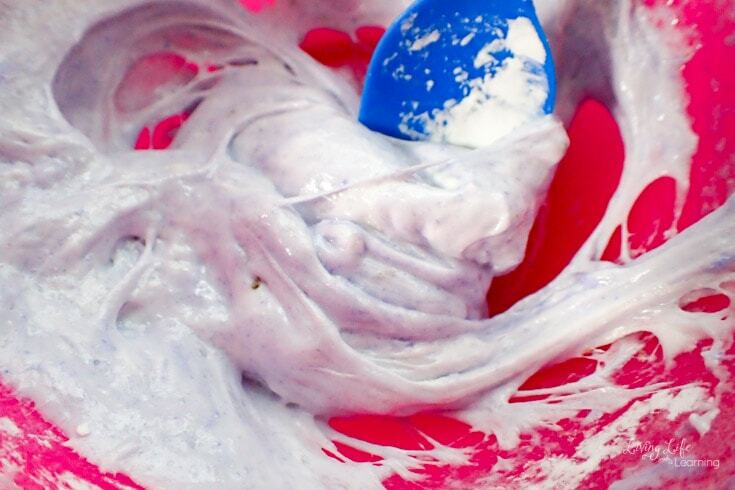 Keep slime from sticking to your hands by adding a bit more cornstarch. 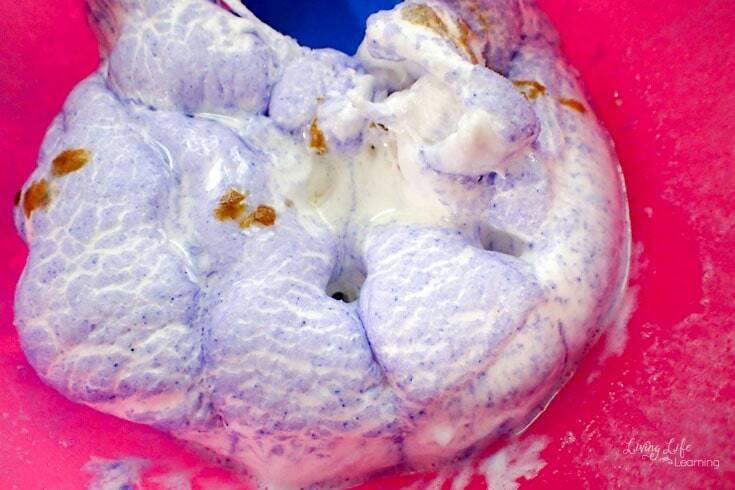 Slime is a huge hit in our house the kids like to add toys and just love playing with its texture. Ask your kids what happened to the Peeps to change their texture and how they went from an edible treat to a fun slime that you can play with. What else can you turn into slime? See what ideas your kids come up with? It’s a wonderful way to explore different food products in your home.